Professional horse trainer, Jesse Beckley is a third generation cattle and guest rancher. His family owns Three Bars Ranch, located in the Canadian Rockies. Growing up on the back of a horse, Jesse decided early on that he wanted to earn his living working with horses. He started out riding and training horses for the Guest Ranch and then moved into the reining discipline. 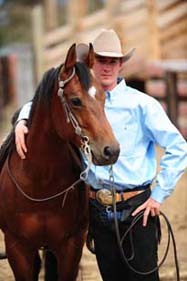 Jesse Beckley and one of the reining horses. Jesse started showing reining horses at age 12, continuing his interest and education in the horse industry he moved to Oklahoma and California for five years where he worked for two of the top five reining horse trainers in the world. 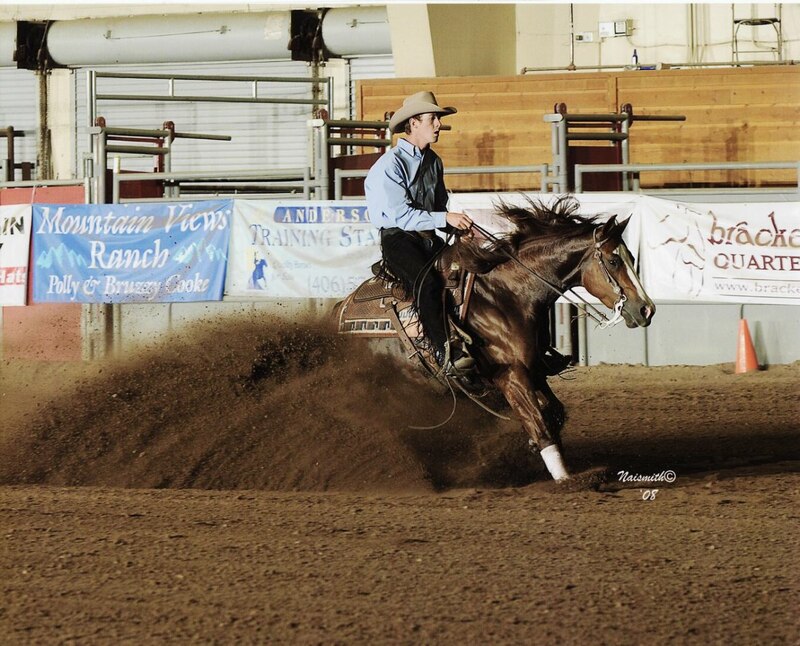 Following this time he returned to Three Bars Ranch to run Beckley Reining. Through hard work, Jesse has become one of the best and most sought after trainers in Canada. Recently, Jesse and his dad, Jeff Beckley, traveled over 40 hours to Texas to compete at one of the world’s greatest reining competitions, the National reining Breeders Classic, which pays out over $1,200,000! With the trailer packed and horses in tow the two cowboys were gone for three weeks. Competing against the best in the world, it was no easy feat to pick up a check. Jesse had to first show in the go-round and if he marked a high enough score he would advance to the finals, which is a huge accomplishment in itself. Drawing up near the end Jesse knew he was going to have to put down a flawless run. At this point it was looking like it would take a score of 222 to make the Open Finals. 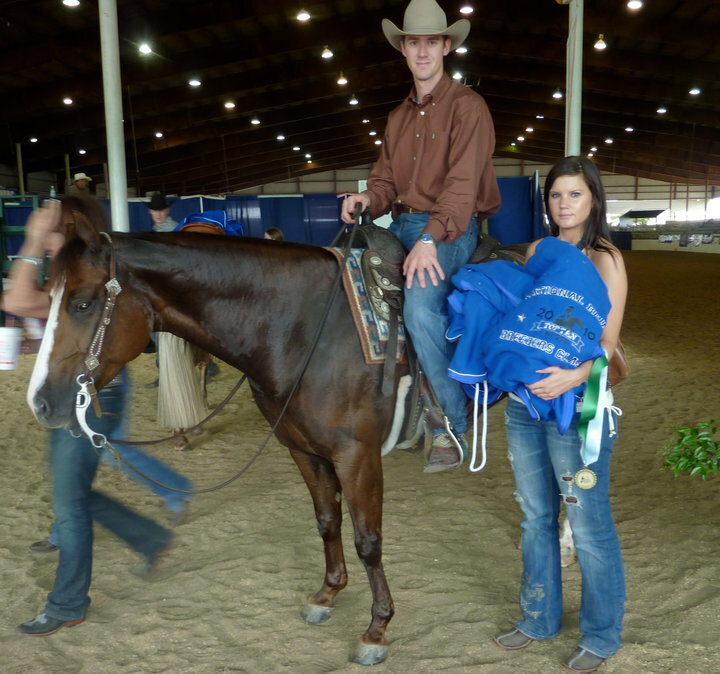 So you understand reining a bit better, let me explain how it works. There are four categories, Level 1 through 4, four which is also known as Open being the highest category and Level 1 or Limited Open Level 1, is the “lowest”. Categories are based on earnings and standings. In Jesse’s case he is only eligible for category 3 & 4 because he has “won” himself out of the lower two categories. Reining is a judged event, with scores being issued by each judge. Every competitor walks in with a score of 70. Each competitor is required to complete the given pattern exactly as it states, if the competitor goes off pattern it will result in a score of zero. Each maneuver is scored from -1.5 to a +1.5 and is based on degree of difficulty. A zero mark on a maneuver means it was correct but not over the top. A -.5 means it was poor and so on. Penalties can also be issued. Sample of a score sheet. 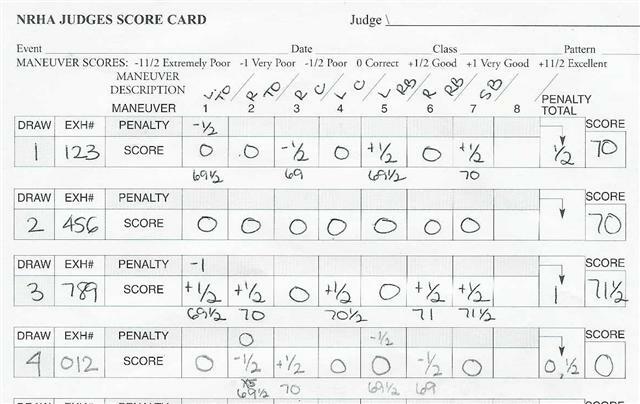 At this particular show there are five judges, with the high score and low score dropped to take a total of three scores. Now back to the story…Jesse was mounted on a mare named Mizzen Whizzen. The duo laid down an electrifying run, scoring a 223.5, resulting in making both the level 3 and 4 Open Finals. Only the top 25 with ties make it back to the finals. The go-round starts with almost 300 competitors riding for those 25 spots. For a young trainer to make the finals, this is a dream come true and a stepping stone in his career. The Beckley family back home watched Jesse and Mizzen show against the top horseman on Finals night via live feed on their computers. It was an exciting night in Texas and back in Canada. The pair put in another stellar run and took home a nice pay-cheque for their performance. Throughout the summer, Jesse gives the Three Bars Ranch guests a reining demo one night a week. 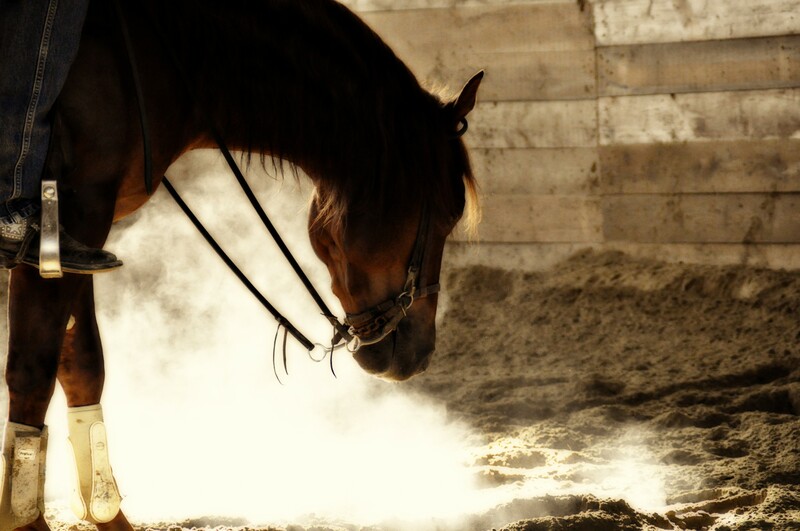 Many of BC’s Guest Ranches are more than just a Guest ranch. They are a real working cattle ranch, they grow hay or in this case train horses for performance. Life with horses is never boring and it is so rewarding. Some people are fortunate enough to make their living doing what they love – working with horses has to be one of the best jobs one could ask for. We don’t yet have Jesse and Mizzen’s run from this year’s NRBC, but enjoy one of their championship runs from 2010 where they set a new record high score! Click on the link below.